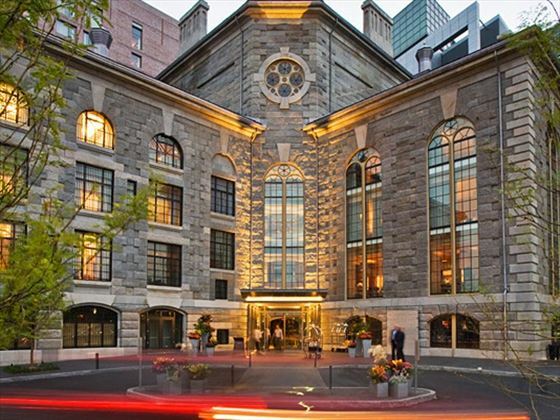 The Liberty Hotel is a luxurious riverfront hotel situated in the impressive Beacon Hill area of Boston. Famous for world class accommodation and top levels of service, the hotel also boasts great restaurants on site and free high-speed Wi-Fi to make your holiday as relaxed and comfortable as possible. Upgrade to a Superior Suite for lovely views out onto the river – a great view to start any morning. Enjoy the wonderful location in Boston’s most historic and charming district; wander on the cobblestone paths and take in the fine architecture or make use of your proximity to shops, restaurants and bars. The airport is just a 15 minute drive making this the perfect place to spend a few days in Boston. Sitting in the iconic Beacon Hill district of central Boston, the hotel is perfectly located as a base to explore the city’s range of attractions. Built on the site of the historic Charles Street Jail, you’re close to downtown, the Freedom Trail, Boston Public Garden and an almost limitless array of museums, restaurants and bars. Prices correct as at 6pm on 22 Apr 2019. Please call for final price. Prices are per person based on 2 adults sharing a room. Other durations available - call for quote. 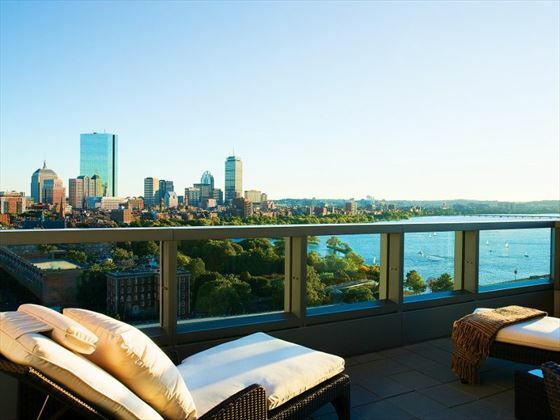 A luxurious hotel in a fantastic location overlooking Boston's harbour, you will enjoy wonderful views of either the town or the waterfront.